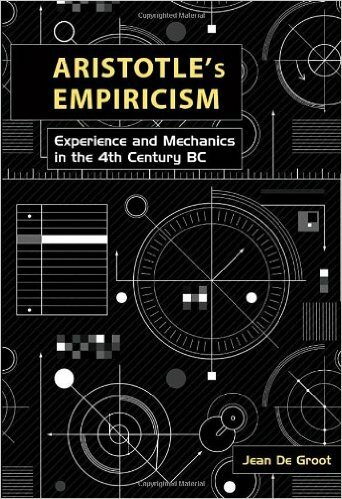 Although you won't find this title in your airport bookstore, I nonetheless heartily recommend Jean de Groot’s Aristotle's Empiricism: Experience and Mechanics in the 4th Century BC. Often considered the foundational organizer of Western thought (consolidating the categories of philosophy, politics, ethics, art, physics, zoology, etc. that have shaped university curricula from 1200 until today), Aristotle's writings, filling about 30 books, have probably been studied more than any other author's, if we leave out the Bible. Can there be anything new to say about this thinker? De Groot has tried, which makes her book fascinating. Rejecting the standard view that Aristotle's theories of motion, fundamental to much of his thought, derived from logic and language, De Groot suggests they derived from his study of machines, especially from consideration of how wheels turn. This is new; if she's right, scholars are going to have to do some serious recalibrating. Since 1948, Cole Porter's Kiss Me, Kate has been inspiring us to "brush up your Shakespeare." If you want to brush up your Aristotle, read de Groot's book. If it becomes a Broadway musical, perhaps Dartmouth can get a line in the credits, for you heard it here first.